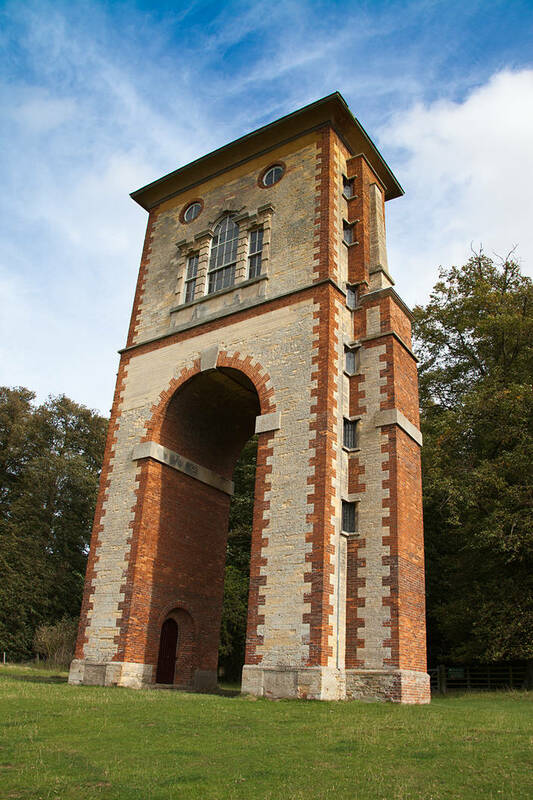 This is the Belton Folly near Grantham in the UK. I wanted to get a bit more colour and detail in the sky. This is a situation where a graduated filter would help. Graduated filters are bits of glass you fit in front of the lens to help the camera get a good exposure. When shooting landscapes the sky is almost always far brighter than the land. Although our eyes are very good at seeing the detail in the sky and land at the same time a cameras sensor will often overexpose the sky or underexpose the land. A grad filter is clear at the bottom and slowly gets darker towards the top of the picture. Unfortunately Cokin who make the filters seem to have gone bankrupt but I hear they have recently been bought out. Anyway I could not find any camera shops with any Grad ND filter kits to fit my new lens. Fortunately there was enough detail in the sky for Photoshop to apply a filter after taking the shot. Although Photoshop does give you far more control in applying filters in post processing I still think there is a place for old school filters. 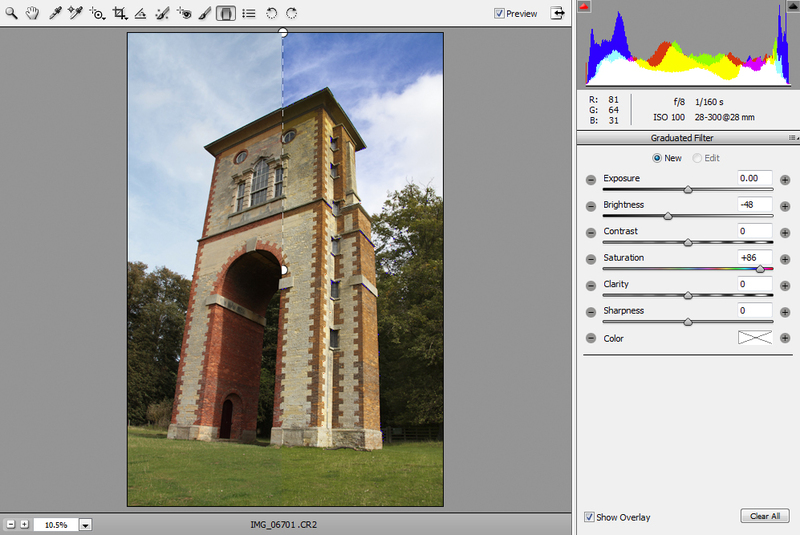 Using HDR is another way of solving this problem but the results often look less natural.